The method for multiplying/dividing positive and negative numbers is different to adding/subtracting positive and negative numbers. When multiplying (or dividing) two numbers with the same signs, the resulting answer is positive. If one is positive and the other negative, the answer will be negative. When more integers are involved work the calculations from left to right. 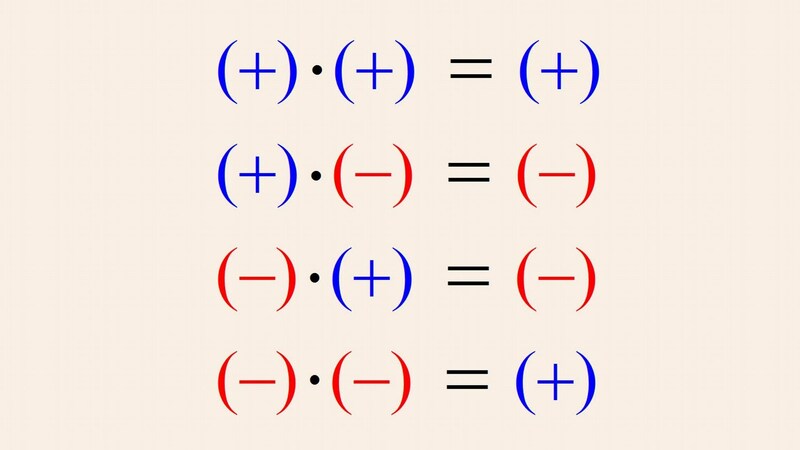 Note: division can be shown as a fraction. A number line is helpful to visualise what happens when we add and subtract. e.g. Start at on the number line and move places down (left). We end at . e.g. Start at and move places up (right) past zero and end at . (think of “taking away a debt” is like “giving” i.e. adding).